Formed by a huge volcanic eruption that took place 3,600 years ago –the same eruption that vanished the mighty Minoan civilization of the island of Crete- the caldera alone offers enough reason to visit the island… A place where the myth of Atlantis still echoes, a natural wonder that justifies fully all those poetic clichés that follow it through the centuries. So, do yourselves a favor and relax at the natural spa of Nea Kammeni, enjoy unique views to Oia, Amoudi and Armeni, visit the neighboring Thirasia, sunbath and try a traditional `meze` on board, swim at the crystal clear Aegean waters and surrender to the imposing beauty of the caldera through the private excursions of `Alex`. Still looking for a life-altering experience, you say? Private Boat Tours in Santorini Island with "Alex" Boat. 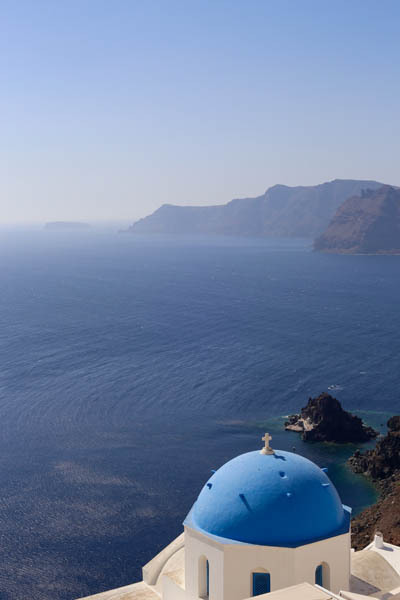 The Private boat tours in Santorini island with "Alex", can be Half day or Full Day Private boat tours. The experienced Local skipper will navigate to the most amazing spots, as a local he suggests: "You should not miss". Additionally, the Santorini Boat Tours with Alex boat can customize your route (on request) so you can have a unique Santorini experience.